Got to talk about the upcoming Celtics season with Nick Gelso, CEO & Founder of CLNS Media. CLNSmedia.com is an awesome place to keep up with everything Celtics-and a whole lot more! Be sure to check it often for the latest news and analysis. It was a blast to chat with Nick and the sky’s the limit for how great the Celtics can be. Follow Nick on Twitter and checkout Celtics Blog for even more Celtics coverage! What excites you most about this years Celtics? Last years Celtics? Look at last years team, this year the Celtics are bringing back Kyrie, Gordon, Theis, so you’re looking at a healthier roster. You’re adding two, really essentially Gordon, so you’re adding a superstar to the lineup and a healthy Kyrie. It’s exciting! You know the other exciting thing, yesterday at media day, Kyrie leads me to believe that he won’t be leaving, so that’s also pretty exciting. If you could take one Celtics player from the 2008 Finals roster and put them on this team in their prime, who would it be and why? Oh my goodness, what a good question! Probably say (Kevin) Garnett. Ray (Allen) would be a help because anytime you can spread the floor, Brad Stevens loves that. Paul Pierce is as clutch as they come. Garnett is a unifying force, he brings the locker room together, he changed the culture here in Boston. His intensity bleeds out into his teammates. I said this past year, having covered the Isaiah Thomas locker room and no knock against that locker room, I loved that team, but having covered that locker room and then covered last years locker room with Kyrie leading, it had much more of a Kevin Garnett type feel to it. It was way more intense last year and I expect it to be the same this year. If I were going to take any player and move them forward, I’d have to say it would be KG. For league pass junkies, give you elevator pitch for why folks should watch the Celtics this season. Intensity, unselfishness, sacrificing shots to make the ball go around, get everybody as many touches as they need. Three real elements that make the Celtics super compelling is unselfishness, ball movement, those being 1 and 1A, and selflessness and you got a guy at point guard who has one of the best handles in NBA history. Kyrie Irving is just so fun to watch. So all those things I think makes an interesting and compelling brand of basketball. Kind of a throwback team in those ways. Thanks again Nick! 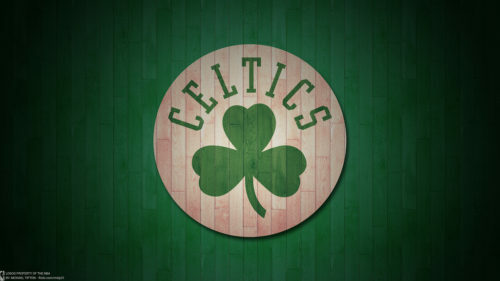 Hop over to CLNS Media and here’s to a thrilling season in Boston!